Proudly Serving Delphi, Monticello, and all of Carroll and White counties. With the amount of news available to us today, seemingly endless amount of information broadcasted to us about water quality issues in different places around the world, and here locally in the Delphi / Monticello, it’s difficult to understand what exactly you might need to do about your hard water problems. Needs can vary from area to area, and home to home based on what possible contaminants are in your water, whether you use well or municipal sources, and a variety of other factors. You might require a water filter and a water softener, but it’s important to know that a water softener will not filter out certain harmful contaminants, and likewise, a water filter will not make your hard water soft. A quality water softener can pay itself off, and actually save you money the more you use it. It can help reduce water heating bills, extend the length of your other household appliances, reduce your laundry and dish detergent usage 50 to 75%. For as little as $10/month, you can buy, lease, or rent a water softener from Culligan, then sit back and relax! Let us take care of the installation and maintenance for you. A Culligan Water Softener is also backed by a comprehensive warranty. Don’t settle for a transactional approach online or run off to your local big box retailer. Your water is more precious than that. 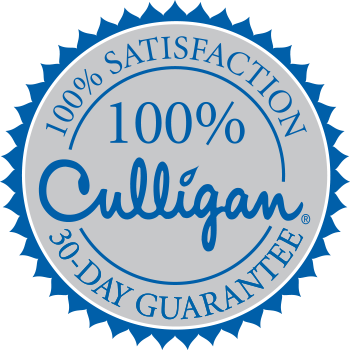 Trust the water experts at Culligan, with more than 80 years in the industry. Just because you need salts to operate your water softener does not mean the taste of table salt will permeate your drinking water. Salt is needed for ion exchange, a process that takes minerals that make water hard such as calcium and magnesium out of your water system. Regular tap water contains very little sodium. The amount of sodium a water softener adds to tap water depends on the “hardness” of the water. Hard water contains large amounts of calcium and magnesium. Some water-softening systems replace calcium and magnesium ions with sodium ions. The higher the concentration of calcium and magnesium, the more sodium needed to soften the water. Even so, the added sodium doesn’t add up to much. An 8-ounce (237-milliliter) glass of softened water generally contains less than 12.5 milligrams of sodium, which is well within the Food and Drug Administration’s definition of “very low sodium.” Thus, it’s unlikely that sodium in softened water would pose a risk for most healthy people. However, if you’re on a very low-sodium diet and you’re concerned about the amount of sodium in softened water, you may want to consider a water-purification system that uses potassium chloride instead. Another option is to soften only the hot water and use unsoftened cold water for drinking and cooking. Water softeners can get rid of certain minerals that can harm your home, but that doesn’t mean your water is safe from other dissolved solids or harmful bacteria. If you would like all the benefits of a water softener with the best quality tap water, consider adding a reverse osmosis filtration system or a whole house water filter for as little as $10 a month*. Chromium 6 – Are you drinking Chromium 6 in your water?